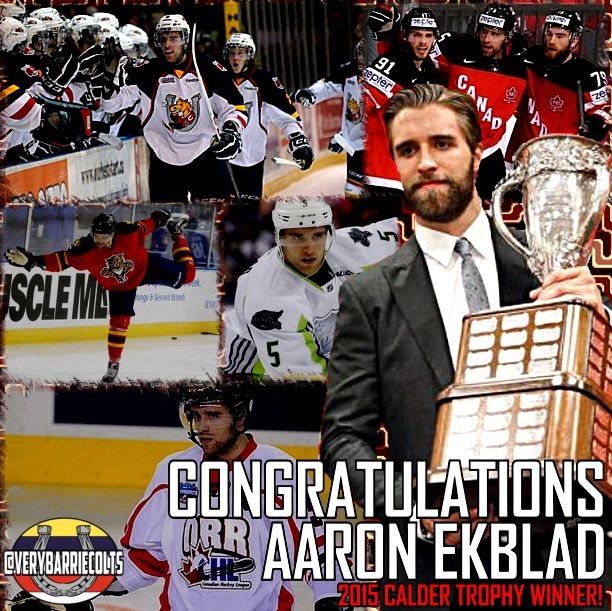 Former Barrie Colt Aaron Ekblad wins Calder Trophy. - Very Barrie Colts | A website covering the Barrie Colts of the OHL. Home Aaron Ekblad blog Calder Florida Panthers NHL NHL Awards Former Barrie Colt Aaron Ekblad wins Calder Trophy. Former Barrie Colt Aaron Ekblad wins Calder Trophy. Former Barrie Colt and current Florida Panther Aaron Ekblad won the Calder Trophy last night at the NHL Awards in Las Vagas less than a year after getting drafted first overall at the 2014 NHL Draft. Ekblad was selected over Ottawa Senators' Mark Stone and Calgary Flames' Johnny Gaudreau who both had incredible rookie seasons for their teams. Here is a look at the final voting breakdown. Ekblad winning the award makes him the 11th defenseman to win the award in NHL history. Last defenseman to accept the award was Tyler Myers when he won it with the Buffalo Sabres in the 2009-10 season. 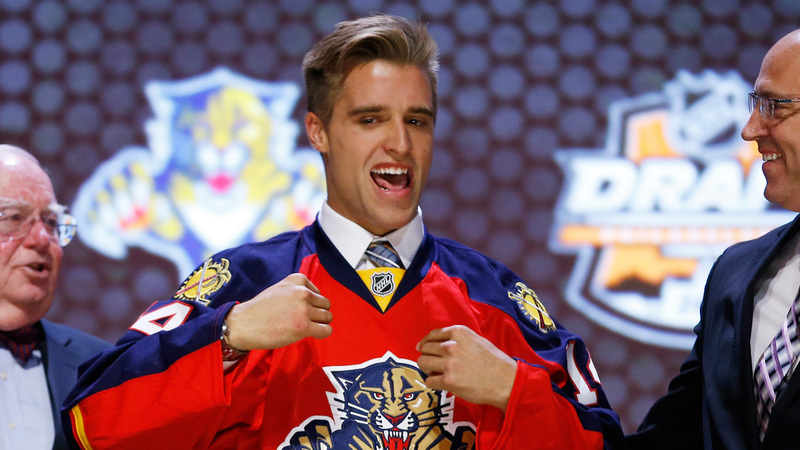 Aaron Ekblad was drafted by the Florida Panthers on June 27th, 2014. In September the team signed him to a 3 year entry-level deal. 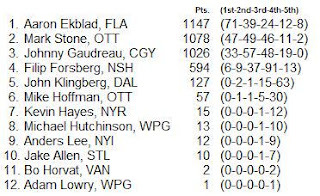 Ekblad also was a replacement in the 2015 NHL All Star game where he would total 4 assists. Ekblad finished his rookie season with 12 goals and 27 assists for a total of 39 points. He led rookie defensemen in goals with 12, PP points with 13, PP goals with 6 and shots on goal with 170. He totaled 109 hits, 80 blocked shots and had a +12. We would like to congratulate Aaron Ekblad on an INCREDIBLE debut season for the Florida Panthers and all of his success within the past year.